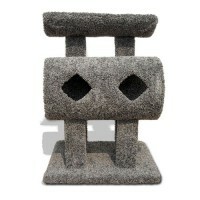 The Double Diamond is a great piece of cat furniture for multiple cat owners. 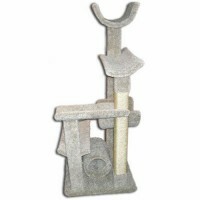 It has a 24 x 24".. 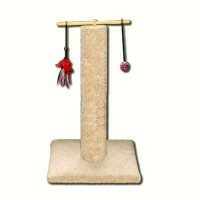 This beautiful 63" Five Shelf Climbing Tree is sure to keep one or more cats entertained as it .. 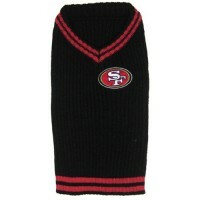 Your dog will be warm and happy in this officially licensed NFL pet sweater vest! 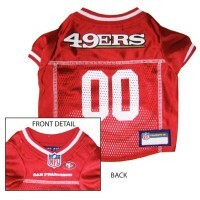 The sweater features a ribbed knit v-neck and is made from machine washable 100% acrylic with an embroidered San Francisco 49ers team logo. Measureyour dog from base of neck to base of tail to ensure a proper fit. 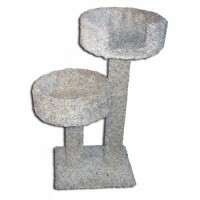 Ifyour dog is between sizes it is recommended thatyou select the size larger. 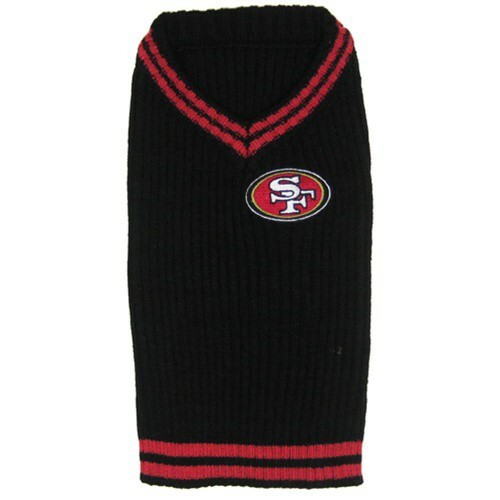 This officially licensed San Francisco 49ers Pet Pillow Bed also works great as a crate bed. The dim..
You and your pet will love to play and cuddle with this adorable San Francisco 49ers Teddy Bear toy .. 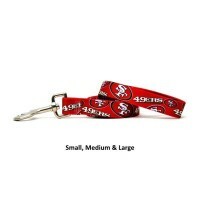 Your pet will make an adorable cheerleader in this San Francisco 49ers Cheerleader Pet Dress is made..
Keep your pet under control and support your team spirit with this San Francisco 49ers Pet Leash! It.. 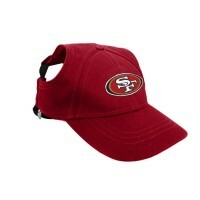 This Adorable San Francisco 49ers Pet Baseball Cap is the perfect accouterment for your pet's o.. 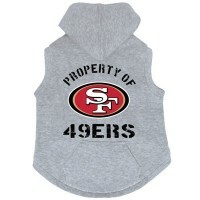 Your pet will be nice and comfortable in this fun San Francisco 49ers Dog Hoodie Sweatshirt. 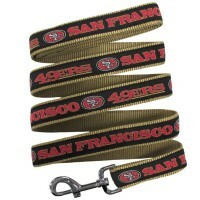 Made of..
Keep your pet under control with this San Francisco 49ers nylon pet leash by Yellow Dog Design! 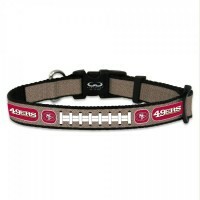 This..
Show your team spirit and keep your pet safe with this San Francisco 49ers Reflective Football Colla..